Seattle could have a hockey team playing in the NHL as soon as 2020. Since the departure of the Seattle SuperSonics in 2008, there has often been talk of replacing them with another sports team. In recent years the talk has been about a hockey team. As of right now, the team will most likely end up in Seattle. Another matter of topic has been the team name. There have been many different suggestions, but the most popular are the: Metropolitans, Steelheads, Totems, Sasquatch, Sockeyes and the Seattle Kraken. Ethan Yamamoto (‘20) is a student here at Bothell High School. He plays hockey on the Seattle Jr. Thunderbirds AAA in the North American Prospects Hockey League (NAPHL). This gives Ethan the chance to play in places like Iowa, Detroit, California and even Boston. Many weekends he will drive up to Canada to play in a game. When asked about what he would like the team to be named he responded with the Metropolitans. 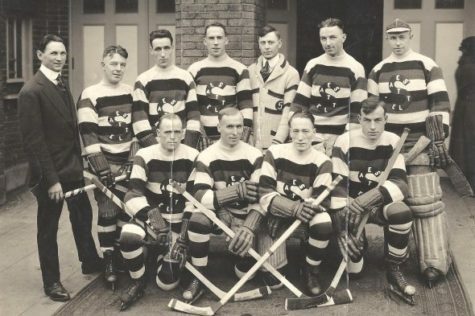 The Metropolitans were a hockey team in Seattle between 1915 and 1924 and in 1917 became the first team to ever win the Stanley Cup. Ethan thinks it would be cool to bring back the name.